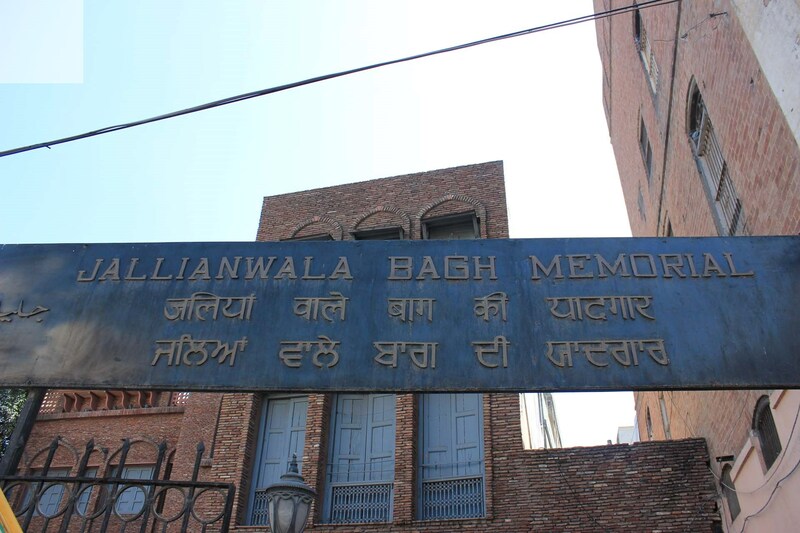 The Jallianwala Bagh then was a private property of a sardar family – Himmat Singh – A Noble in the court of Maharaja Ranjit Singh. 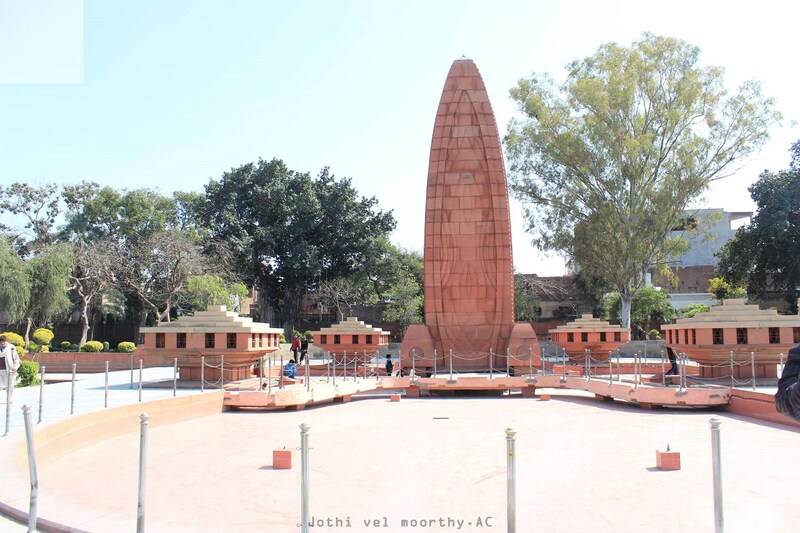 The Jallianwala Bagh massacre, -One glaring example of British cruelty is that of the Jallianwala Bagh tragedy (April 13, 1919)-a milestone for the nationalists towards the journey to the destination of Independence. Brigadier-General Reginald Dyer, who was given control of Amritsar by Lt. 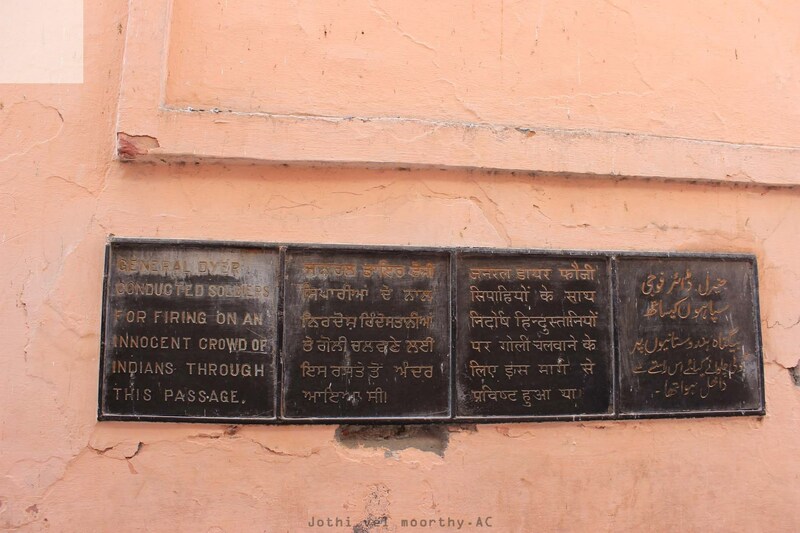 Governor of Punjab Michael O’Dwyer, chose April 13, the day of harvest festival, Baisakhi, for his revenge. 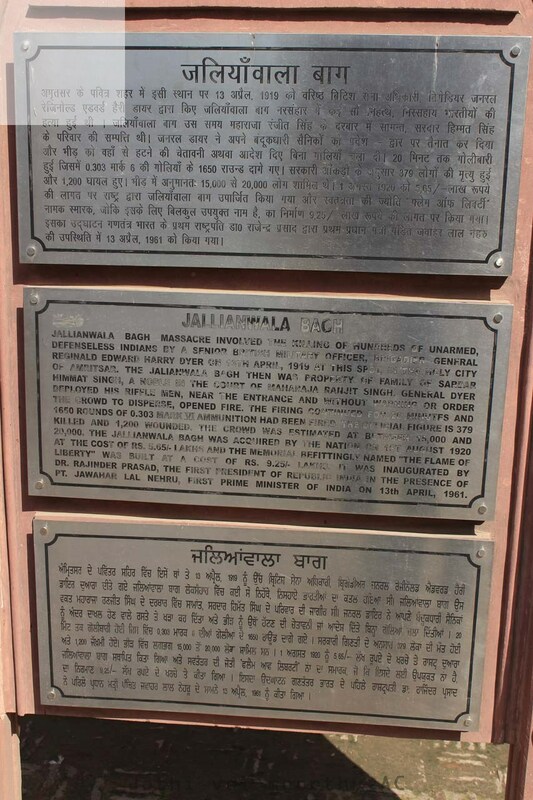 To vent their protest against the Rowlett Act, which gave the rulers the power to detain anyone without trial, some 20,000 people had collected in a garden, called Jallianwala Bagh, a stone’s throw from the Golden Temple. Dyer set the police on the gathering like hunters unchaining their ferocious hounds to bring the pursued animal to bay. He purposely blocked the garden’s only gate to prevent anyone from escaping from the place. 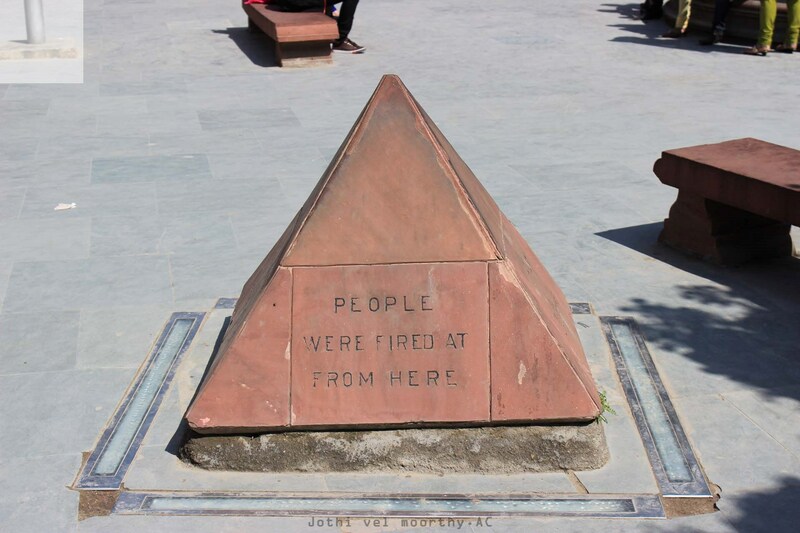 Targeted by machine guns, men, women and children had no escape or respite from the bullets till the police exhausted their ammunition.As many as 1,650 rounds were fired. 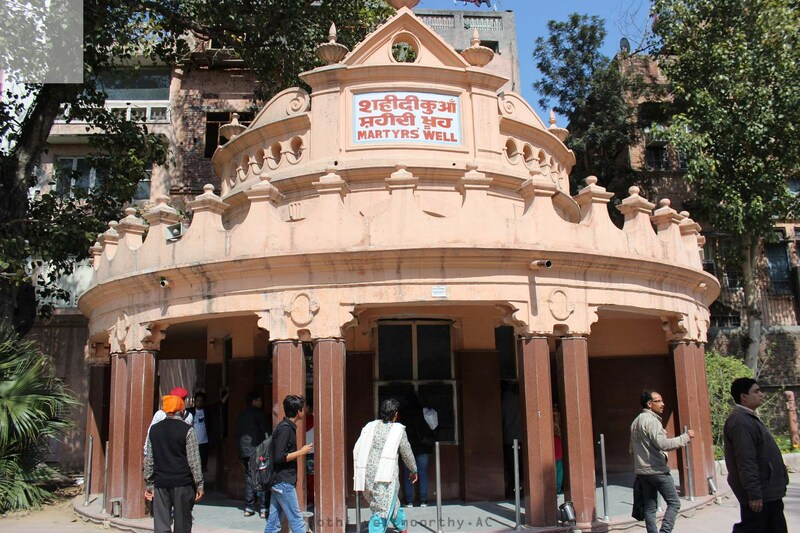 Scores of people jumped into the garden’s only well, a mute witness to that barbarous massacre. 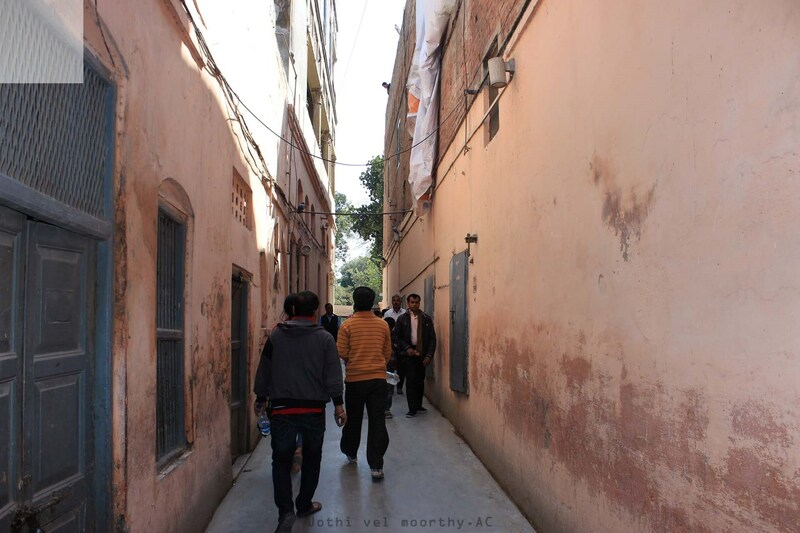 Some 400 people died on the spot and more than 1,500 were injured. 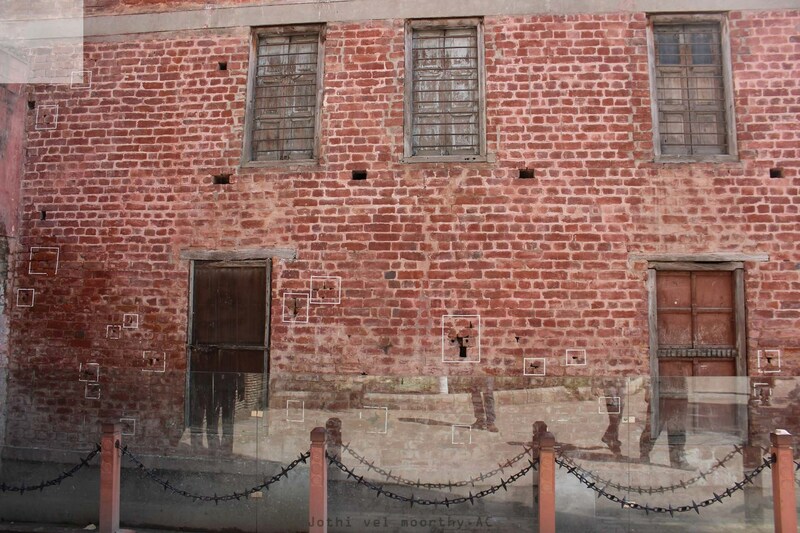 The bullet marks still remains….